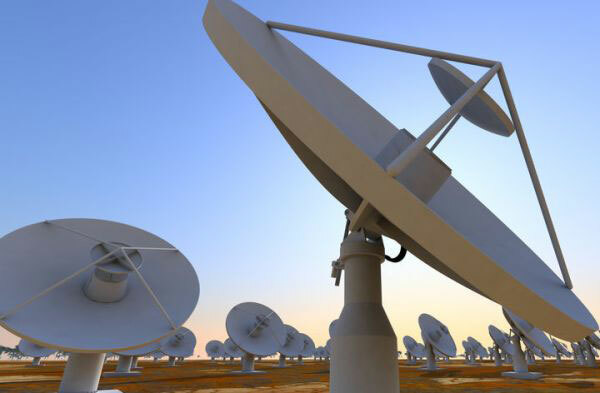 Cape Town – The construction of the 64-dish MeerKat satellite dishes – a precursor of the Square Kilometre Array (SKA) project – had commenced, the Minister of Science and Technology Derek Hanekom said on Thursday. 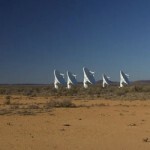 Government has injected R2 billion in the Square Kilometre Array (SKA) project over the next three years and Hanekom said the MeerKat would be completed by 2016. Presenting his budget vote, Hanekom said world-class science is already emanating from the Kat-7 precursor instrument, which was completed in the run up to the MeerKat. “Local and international astronomers have used the instrument (Kat-7) to observe repeating radio outbursts from a neutron star system known as Circinus X-1. “Their results have just been accepted this week for publication in a prestigious journal of the Royal Astronomy Society. 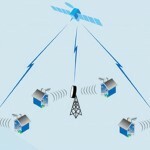 A global media release on this ground-breaking science coming out of South Africa has just been issued,” he said. He praised the director of the South African SKA Office, Dr Bernie Fanaroff, who was awarded the Order of Mapungubwe last month. As part of the four-country African Resource Management Constellation, South Africa has begun work on the ZA-ARMC1 satellite and R272 million has been set aside this year to fund the construction. “This satellite will greatly enhance Africa’s ability to monitor and manage its precious natural resources,” said Hanekom. 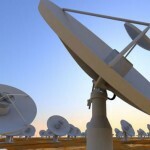 He said the process to transfer the capabilities and intellectual property of South African National Space Agency (Sunspace) into a continued satellite programme is being pursued through the services of a business rescue plan. Hanekom said his department had secured R500 million over the next three years from the Economic Competitiveness Fund to strengthen innovation and research partnerships with industry. This follows the comprehensive review of South Africa’s National System of Innovation, released last year. Hanekom said a number of other recommendations had been put into place, including the appointment of an international expert committee to develop a framework for a national integrated cyber-infrastructure system. A review of the Technology Innovation Agency (TIA), which was recommended by the innovation review, had been completed by a review panel and was presented to the newly appointed TIA board yesterday, he said. Last year TIA, the Agricultural Research Council, the NRF, the University of Pretoria, Onderstepoort Biological Products and the Council of Science and Industrial Research (CSIR), launched the Tshwane Animal Health Cluster, which is currently funding a portfolio of 29 investments in various animal diseases. Hanekom said Cabinet has given the go-ahead for the Ketlaphela consortium, which was established as a joint venture between the Industrial Development Corporation and Pelchem. The consortium will initiate an open process to secure a technical and investment partner for the construction and operation of a facility for the local manufacture of active pharmaceutical ingredients for anti-retrovirals (ARVs), as well as formulated tablets for government’s ARV treatment programme. A memorandum of understanding on the joint development of hydrogen and fuel cell vehicle platforms and technologies has been signed between the University of the Western Cape, Coventry University in the UK, and Microcab Industries, which will see Microcab using Hydrogen South Africa (HySA) technologies. The department is also working closely with the Department of Energy and the International Energy Agency, to finalise the Solar Energy Technology Road Map this year, while the Bioeconomy Strategy, had been finalised and will be presented to the cabinet for approval. Hanekom said the South African Research Chairs Initiative is steadily gaining traction, with an additional 35 chairs to be filled this year, bringing the total to 152 research chairs, covering a wide spectrum of disciplines. Last month, the department launched its ninth centre of excellence, the Palaeosciences Centre of Excellence at the University of the Witwatersrand.